Service Costs > How Much Does a YMCA Membership Cost? How Much Does a YMCA Membership Cost? The YMCA started in the 1800s as the Young Men’s Christian Association. Although the YMCA has changed a lot over time, it still has the basic focus of bettering people in the area. The goal of the Y is to nurture the potential of kids, to help people lead a healthier life, and to support neighbors while strengthening the surrounding communities. Through these values, YMCA has become a popular destination for people who want to lead a more fulfilling life. In order to fulfill all of the goals set by the YMCA, however, funds are needed to run each program. For this reason, there are membership dues that are necessary in order to be part of the programs offered by the Y. How much does the YMCA membership cost? Daily passes. if you only want to visit for the day, can range anywhere from $4 for a youth to $12 for a family. A single adult can cost around $8 for the day. According to the YMCA, you can expect to pay anywhere from $100 to $150 depending on if you are an adult, single-parent family or a family. The monthly fee, after paying the initial joining fee, can cost you $50 to $81. NOTE: These prices were sourced from various resources online and are subject to change. These quotes should only be used as an estimate, and we highly encourage you contact your local gym for an exact quote. As stated above, be prepared to spend upwards of $150 on a one-time initiation fee to get you started with a membership. Most YMCA facilities offer a childcare option for an additional fee. From our research, this seems to be an additional $15 to $25 per month. Additional programs, such as classes for adults, can be extra, depending on the location. Classes, depending on which one/s you want to take, can cost another $20 to $100 extra. The YMCA also offers many programs for kids such as days camps and different sports programs. If your child takes part in a camp or sports program, there will be an additional fee. This fee covers things such as uniforms, referees, workers, coaches, and equipment. From our research, a summer camp can cost $600 to $900+ for a two-week program, but again, this will greatly depend upon the location. Some YMCA locations, if they offer a swimming pool, can offer swimming lessons. If available, swimming lessons as the YMCA can cost about $10 to $15 per class, but some locations may want you to purchase these classes in blocks. Personal trainers, depending on how many sessions you purchase, can cost about $50 to $60 per session, or in bulk, about $350 per eight sessions. 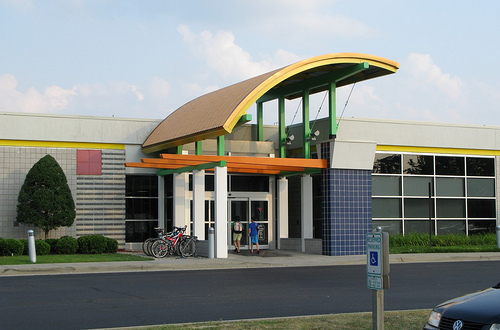 The YMCA offers a wide variety of classes, programs, and facilities. For example, some Ys may have a pool while others do not. Each YMCA will differ in regards to what they offer, so make sure you decide what is important to you and then research which YMCA can offer it. When you become a member, make sure you ask whether you can use any YMCA facility or if you are only allowed to use one. Pay your annual dues up front. When you pay by the month, you can often pay $100 to $200 more throughout the year than you have to. If you meet certain income requirements, some YMCA facilities will be more than happy to offer a discount. Those who qualify for low income, at least from what we have seen, will be about 20 to 70 percent less than that of those who don’t qualify. Just like any other gym chain, look for special deals. There are many times where the Y will offer to waive the sign-up fees if you sign up during a specific time. YMCA can provide a taste of how their organization works. To find out more about your local club, you can visit the location and apply for a free trial membership if available. Corporate, student, senior citizens and military discounts do apply at most locations.